During 1973 and 1975 Ed built and Rallied this 1963 Austin A40 1275cc Car in National rallies throughout the UK. All parts including the roll cage, sump guard and lighting bracket were made in Jaguar Experimental !! During this period Ed was working sometimes 12 hours a day 7 days a week on XJ27 projects, and when his boss Norman Dewis suggested he was "too busy to carry on with this Rallying lark" he duly complied and put the idea on the back boiler !!! 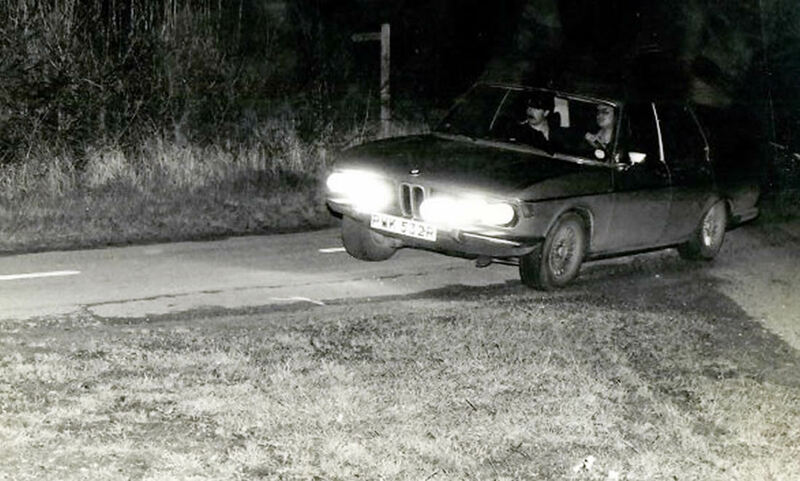 Ed and BMW 3.0 SI Cotswold's night Rally Feb. 1982. Pete French navigating. 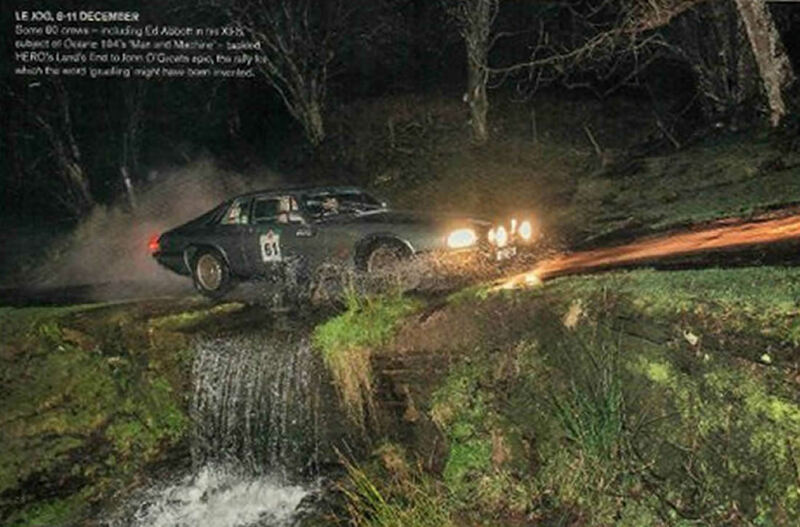 However, between 1976-85 Ed competed in a variety of Road and Stage rallies. Pictured here is a rare import into the UK in 1976.. a BMW 3.0 SI LHD 200 BHP car, sideways at the drop of a hat! Jaguar bought this new as a competitor assessment vehicle, and Ed purchased it once finished with as he was so impressed with its Turbine smooth engine. A real handful in the wet! Sold to finance our Fiesta XR2 race programme in March 1982, it was written off by the new owner within days of purchase. In 2015 Ed bought a 1979 built XJ-S he recognised to be a rare 1980 model year car. It was not long afterwards he realised it was eligible to enter in Historic Rallying, and the scene was set for a return to Rallying. Ed and KNC 929V (registered new in Nantwich) compete in the RAC MSA " Historic Rally Cars " series which is divided into 4 date derived classes, Ed's is Category 3... 1st Jan 1975-31st Dec 1981. 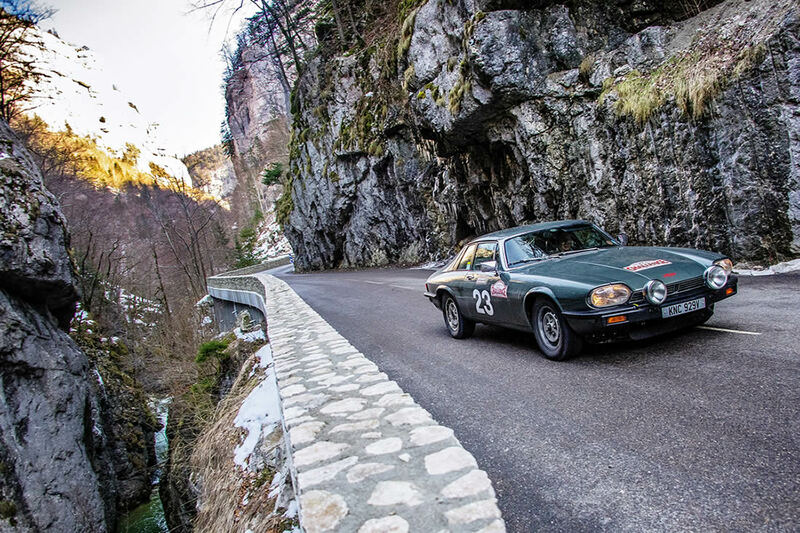 Technical specification for the series is based on FIA Homologation papers issued in period, which for the V12 XJ-S was filed by Jaguar in October 1980. The car was effectively totally rebuilt to motorsports standard during 2016 with all the usual modifications to improve reliability, handling and performance for arduous Rally competition. Heart of the XJ-S is the magnificent 5.3 litre V12 Engine, built to the rare 10:1 specification between December 1979 and February 1980. Only 365 Engines were built for the UK Market. 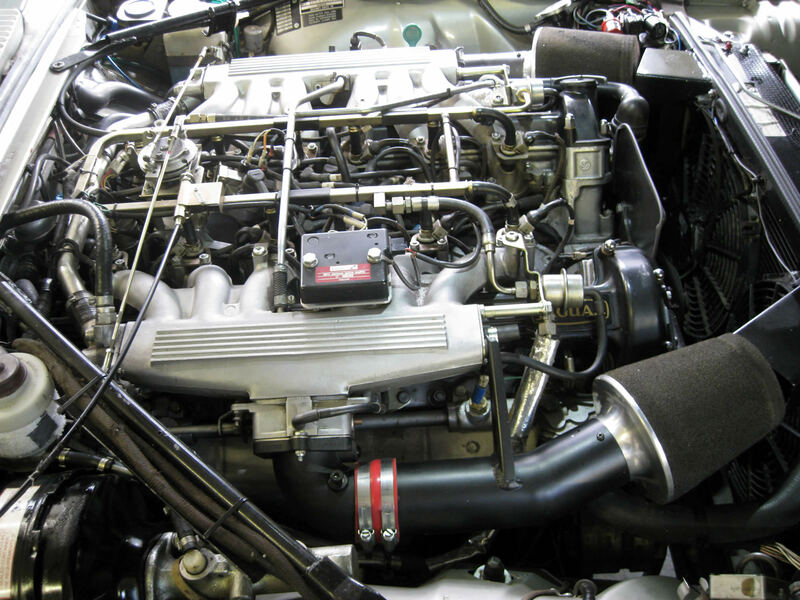 Originally fitted with an oval round pipe fuel rail, and debuting the P Digital Lucas Fuel injection, the "Ten to One" produced in excess of 300 bhp, but was officially pegged to this value so as not to embarrass the HE specification that replaced it at 299 BHP. Low back pressure Exhaust system. The Navigators view is dominated by the Brantz trip meter to the left, which is accurate to 20 feet / 6 metres. Driven by a sensor from the front LH wheel to eliminate error from wheelspin. A backup and more robust sensor is fitted to the rear axle and can be switched if the front fails. 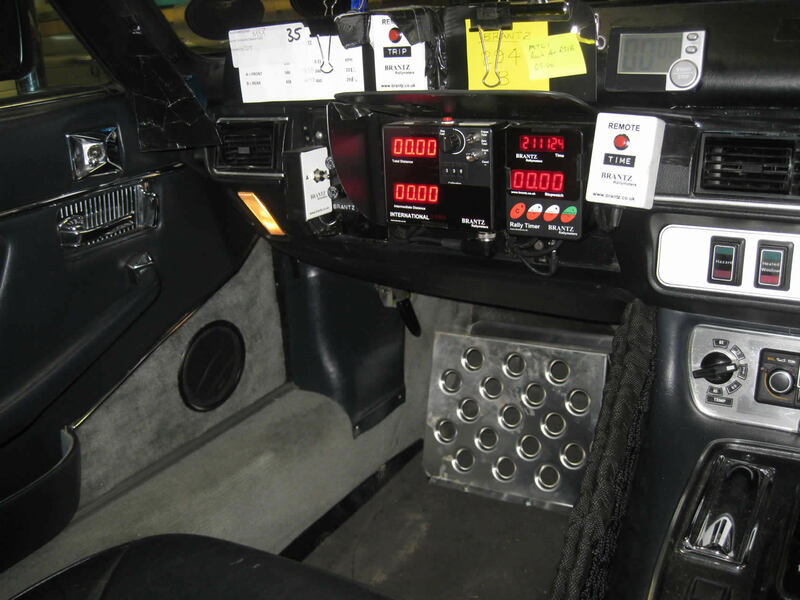 The Right Hand Brantz meter is the stop watch and master clock, and is set at the beginning of each rally to the organisers definition of GMT! The Trip meter is vital in finding obscure tracks ,farm gateways etc to turn into and working out the all important average speeds. During 2017 Ed has competed in 5 major UK Rallies for Classic Cars which has a cut off point of 1985. 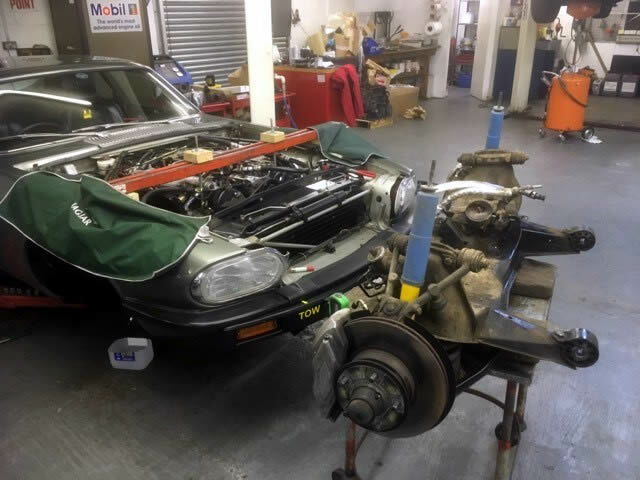 The 1980 rare 10:1 compression Ratio 300 BHP XJ-S pictured has been modified to compete in these events and is constantly being upgraded to be lighter ,nimbler and quicker!!. 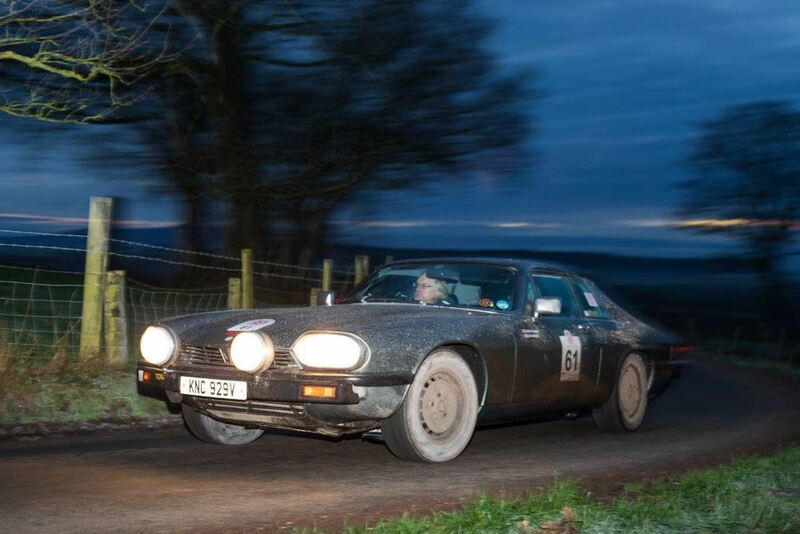 It is thought to be the only example of a V12 XJ-S competing in significant Classic car Rallies in Europe. 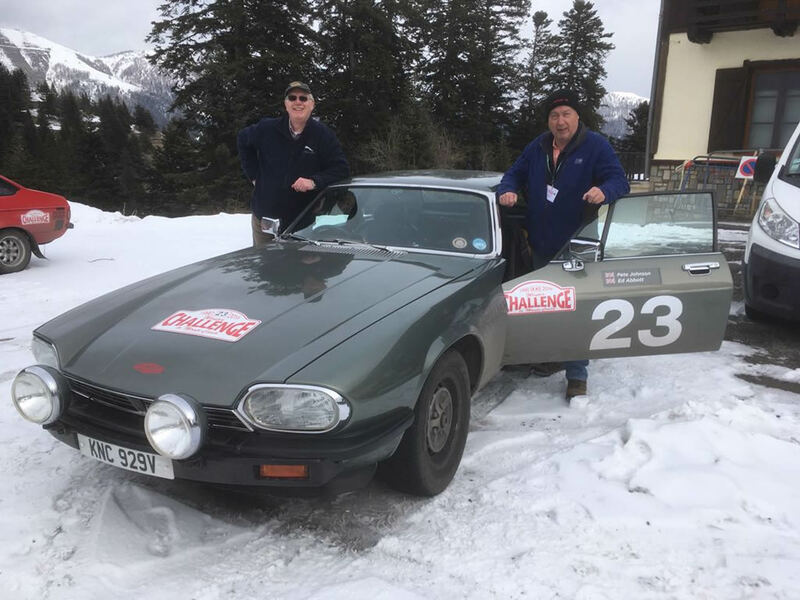 Eds next event will be the HERO Events "Winter Challenge" to Monte Carlo in mid Feb 2018. Current work on the car includes fitting a "new " final drive unit with rebuilt LSD and lower 3.31:1 ratio, revised increased Front and rear spring rates, revised rear silencers for less back pressure, stiffer front sub frame mountings, plus all the normal service requirements of keeping this complicated car running reliably!! This site will gradually be added to as and when Ed can tear himself away from working on the car. The new 3.31:1 axle in the foreground has a tighter LSD unit than standard better suited for competition use. The lower axle ratio from standard (3.07 :1 ) will give the car approximately 10 % better acceleration. This was the standard axle ratio on XJ-S destined for the USA Market. 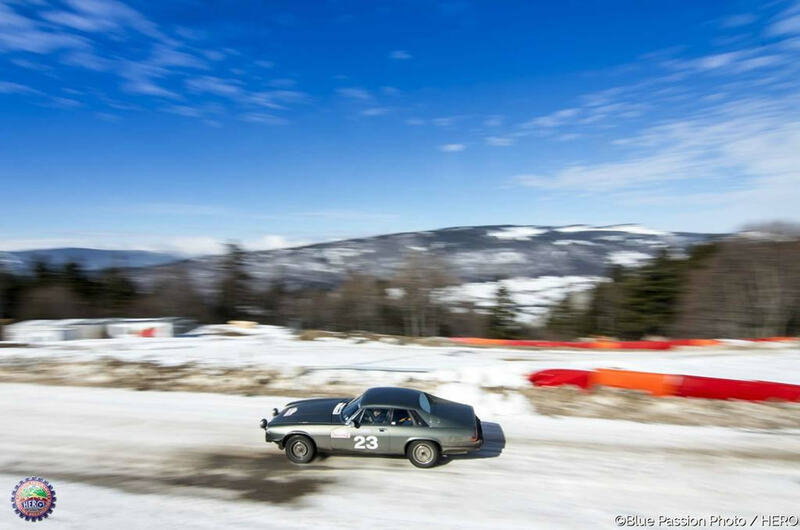 Ed and the XJ-S with navigator Pete Johnson at the Lans en Vercors ice racing circuit Rhone-Alpes France. 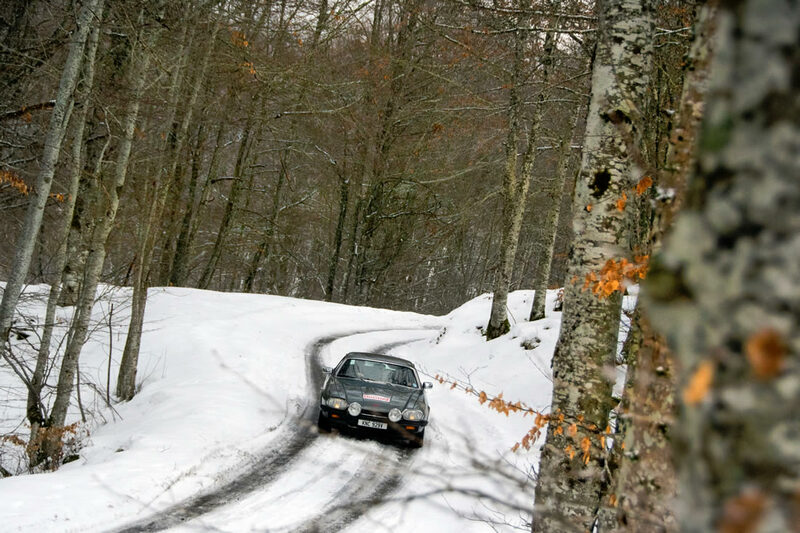 Part of the 2018 Hero Events "Winter Challenge" to Monte Carlo in February. A great Epic 5 day Rally that saw us finish in 7th place overall and 2nd in class. The total round trip saw the XJ-S cover 2500 miles with no problems. Ed and Pete Johnson at the Finish of the rally .. "Col De Turini". Eds next rally HERO events "Summer Trial" Chesterfield/Peak District 11/12/13 May 2018. With a 2 month interlude until my next rally routine maintainence is underway, and to get to the front of the engine it's easier to remove the Radiator pack, and see how 10,000 miles of rally mileage has affected anything and clean all the road dirt off the engine and remove the Alternator etc for checking... At the same time the cam timing is to be checked and reset for optimum midrange power delivery. 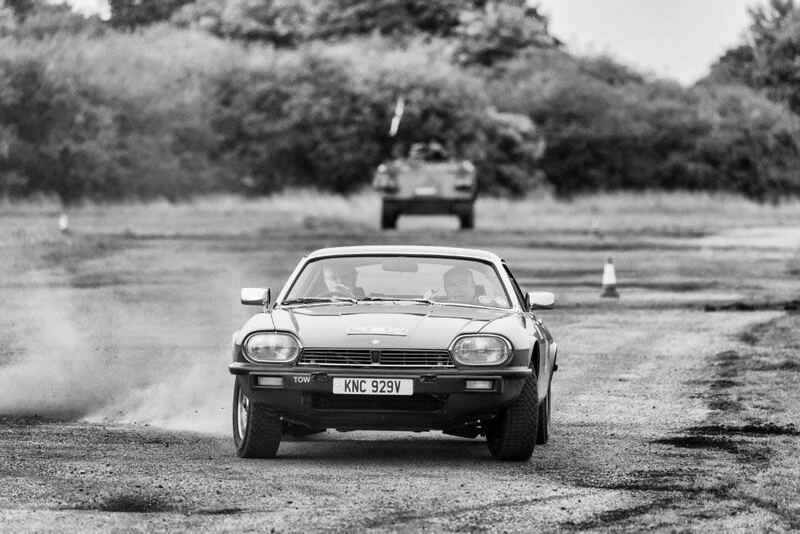 The next HERO events rally is the HERO Challenge based near Bicester on 22nd Sept 2018 and then the all important "RAC Rally of the Tests" 8th-11th November 2018 Harrogate to Bristol. 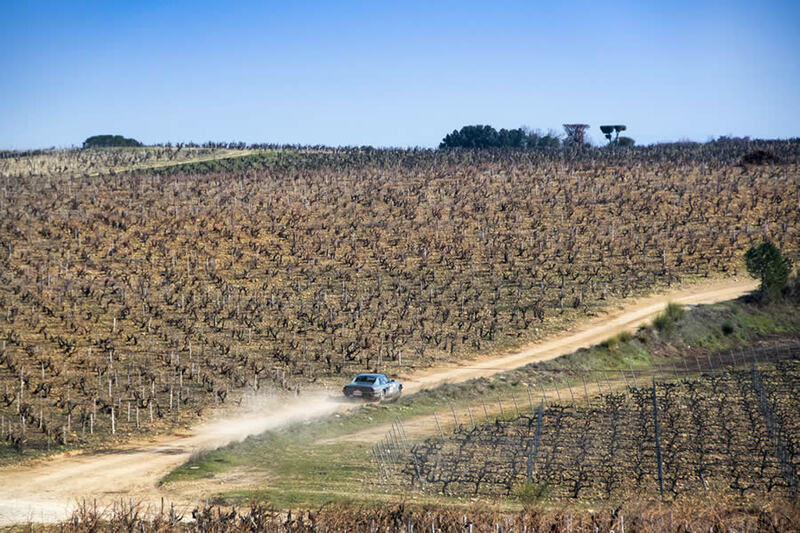 Great shot of the XJ-S in the dusty vineyards of southern France 2018 "Winter Challenge"
"HERO Challenge Rally 22nd Sept 2018"
With Paul Bosdet, Turweston Northants, Airfield Tests. 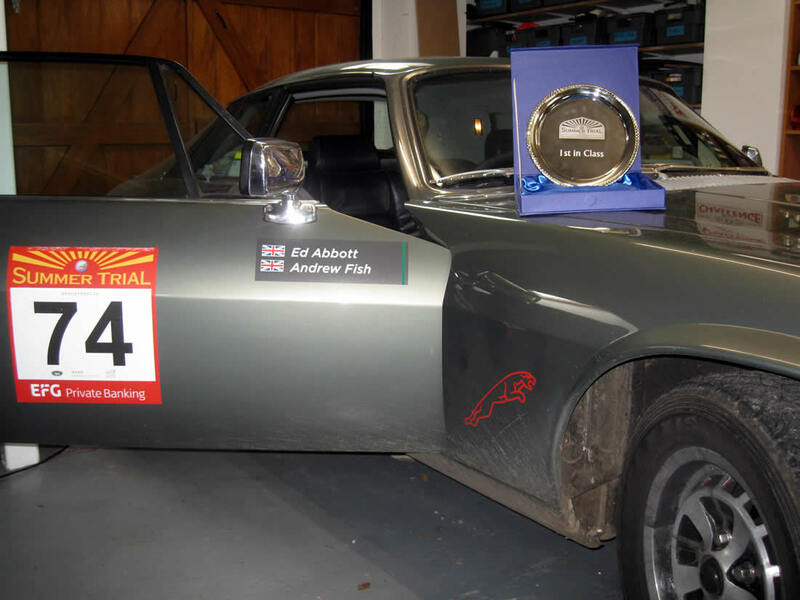 Preparation for the all important RAC Rally of the Tests over 4 days in November 2018 included removing the front Beam to totally overhaul the suspension mountings and update the lower wishbone mounting bushes to a harder polyurethane bush and include a bespoke design thrust collar to limit wishbone crept rearwards under extreme braking loads. 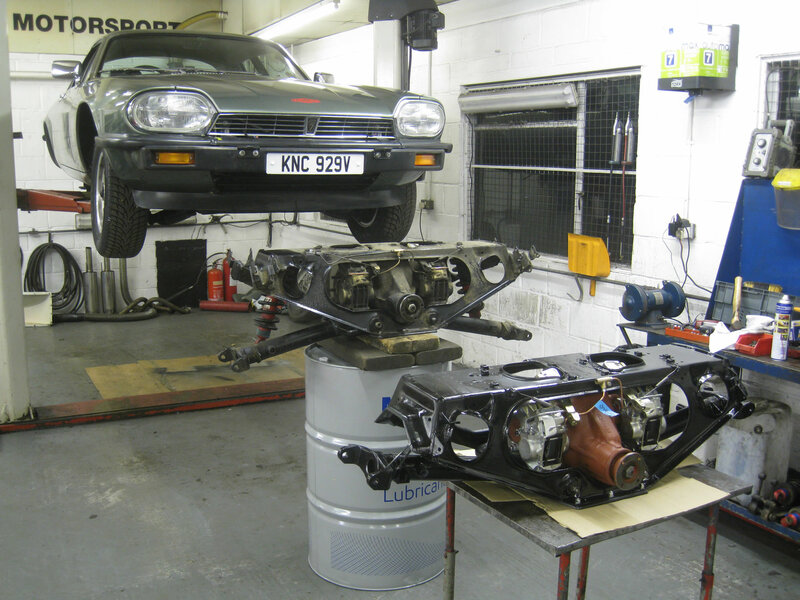 This also provided better access to change the starter motor to a modern lightweight geared unit. Other works included overhauled rear wheel hubs to reduce bearing free play and additional mounting points for the exhaust system ahead of the axle for improved security. 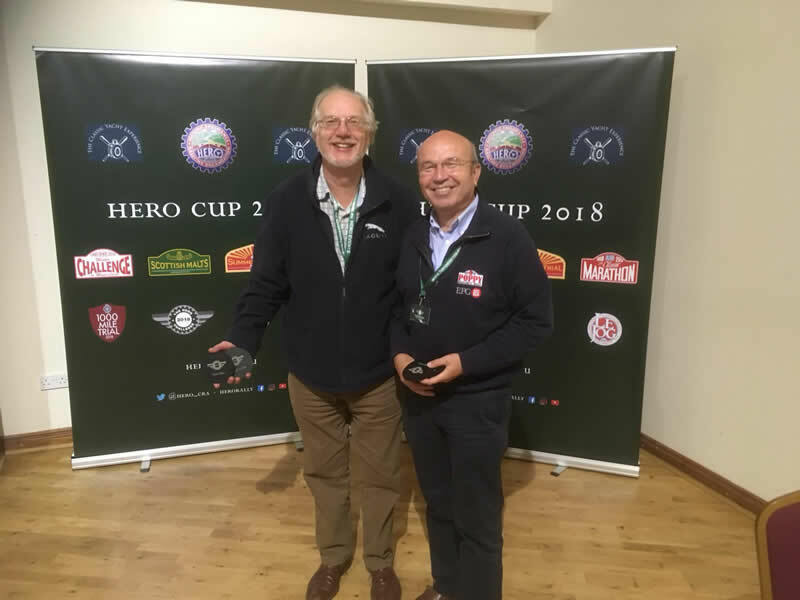 HERO "Rally of the Tests 2018"
A tough 800 mile event for navigators and cars alike. Throughout the rally due to a harness fault which cost us dearly!! Car handled and performed brilliantly notwithstanding the above!!! Billed as the toughest rally in Europe, Le Jog is a 1600 mile endurance event from Land's End to John O'Groats taking in classic rally roads in Wales, the Peak District, Yorkshire and Scotland with not a lot of sleep in between!! The car with experienced Nick Cooper navigating ran extremely well, and brought us home 9th overall and 3rd in class out of 75 starters and netted us a coveted Bronze finishers medal! 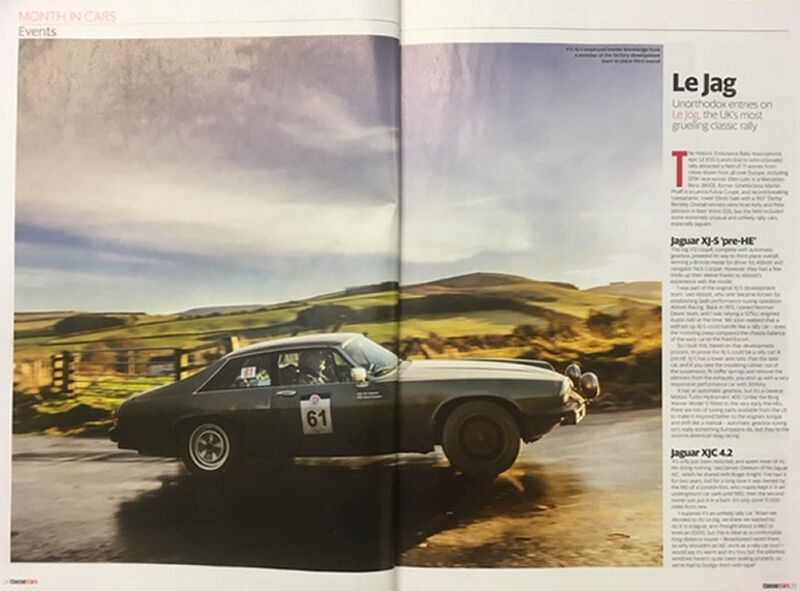 Nice to be included in the February edition of "Octane" magazine as part of the report on the HERO Le Jog event. 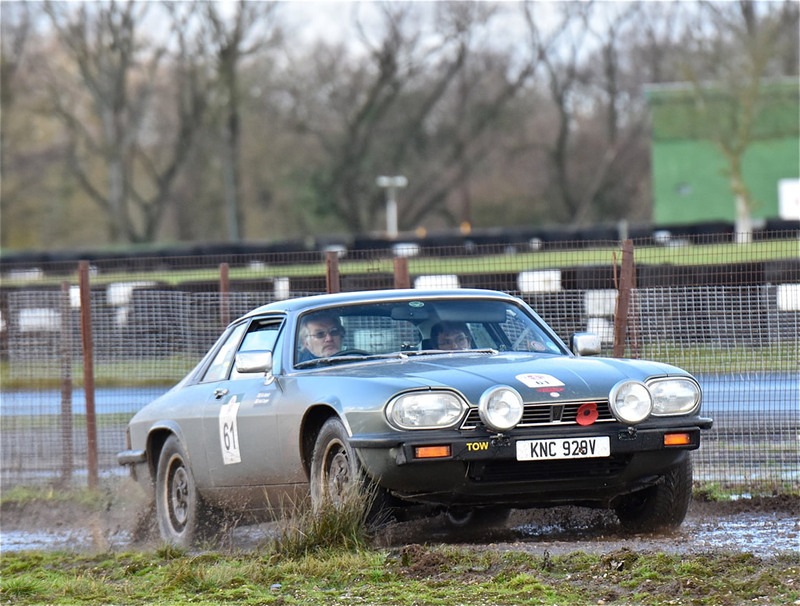 for most of the event , thanks to setting the fastest times on most of the tests in our class, as the open nature and closed road sections suited the power of the XJ-S. Paul's navigation was first class. Another great HERO rally with fantastic roads. 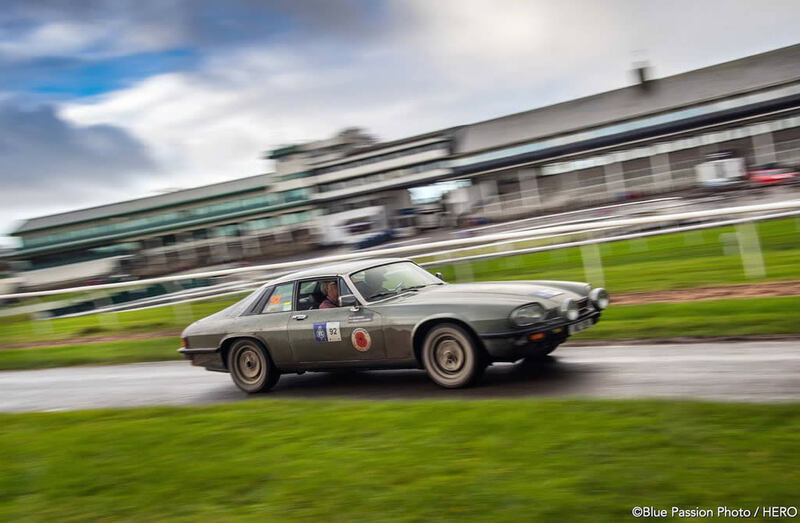 "An absolutely startling performance was achieved by Ex Jaguar development engineer and Racer Ed Abbott navigated by accomplished Paul Bosdet to take 8th place.The noise of the V12 was enough to stir the soul, despite its non to suitability for the lanes."